Te Quiero Madrid: A Photo Essay. I’m not a big fan of cities, but Madrid was almost love at first sight. Maybe because it was just the start of spring, or maybe because the city is just that beautiful! 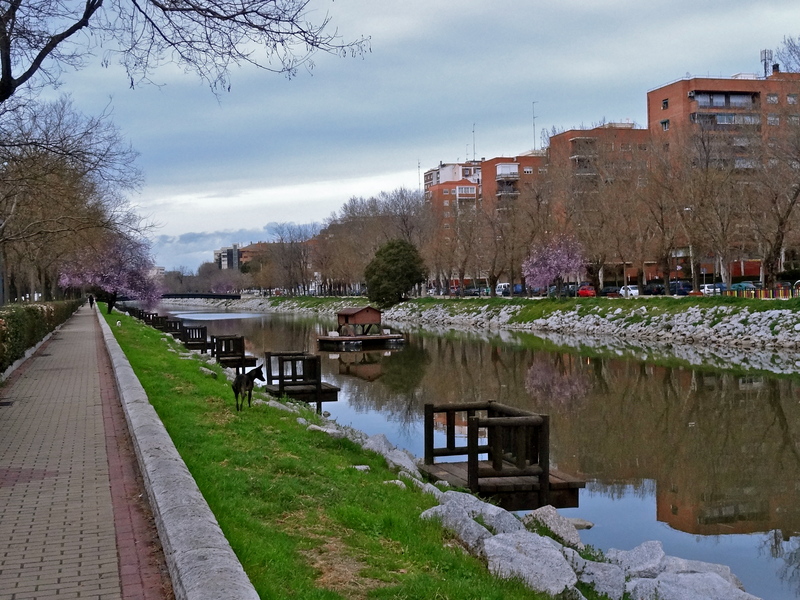 I spent most of my time by the River Manzanares in Madrid, strolling along the parks and squares of Madrid, exploring Madrid’s markets and cafes, and discovering its quirky neighborhoods. 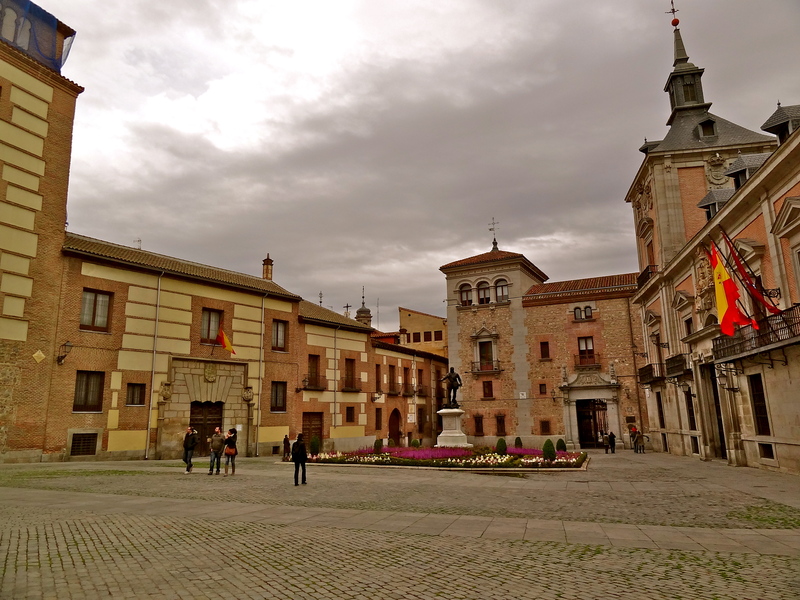 In this photo essay, I share a roundup of some of the best unusual things to see and do in Madrid, including local hangouts and relatively secret places, that are sure to make you fall in love with this Spanish city too. 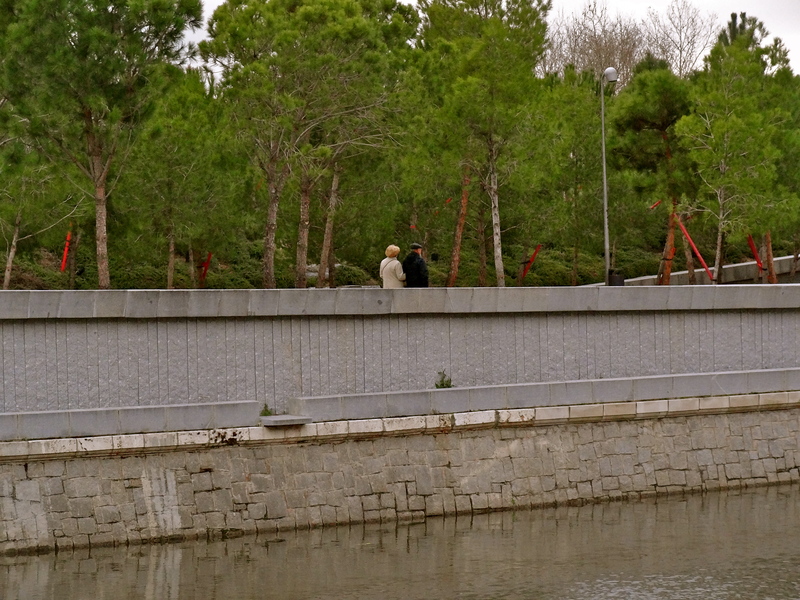 called Manzanares, under the shade of cherry blossoms, watching the locals fish from the fishing decks and nodding at the evening walkers. The closest metro station to get here is Principe Pio. that Madrid is known for. These little squares are meeting points, most with a tiny cafe or restaurant lurking around the corner. Unlike Barcelona, I found the locals of Madrid more easy going, and much easier to strike up a conversation with. 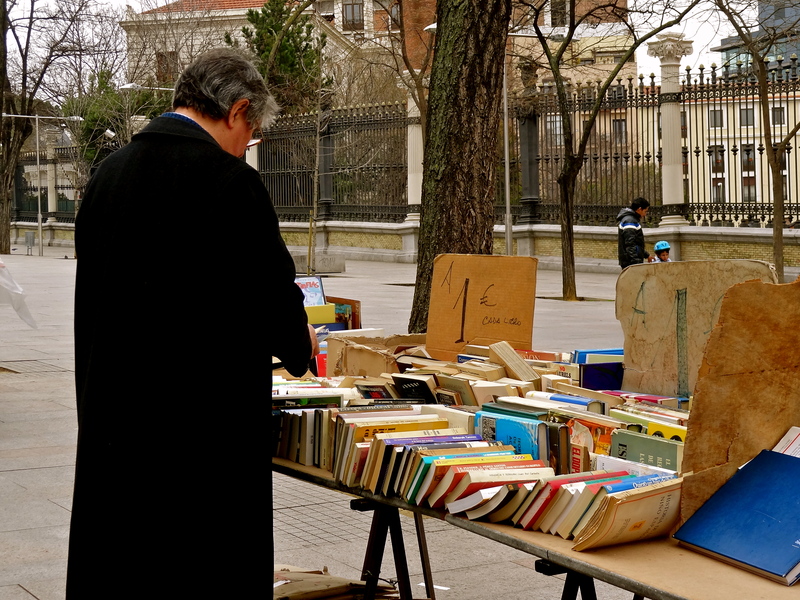 down the road from Paseo del Prado, the only one of its kind in Madrid. Most of the books are in Spanish, but there’s something just so romantic about browsing through their old, worn out pages whose stains speak their own stories. or bar, that might not necessarily be a Tapas bar. These tend to be less busy and more intimate, giving you a chance to get to interact with the owner and the others at the cafe. 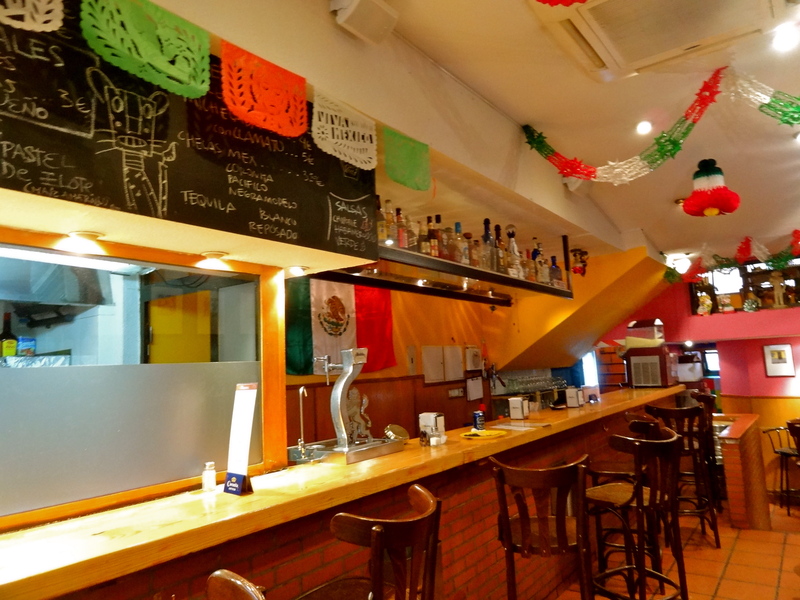 I loved sampling Mexican food at the colorful Tacos Chipotludos bar, and chatting up Juan, its friendly owner. of a city as diverse as Madrid. 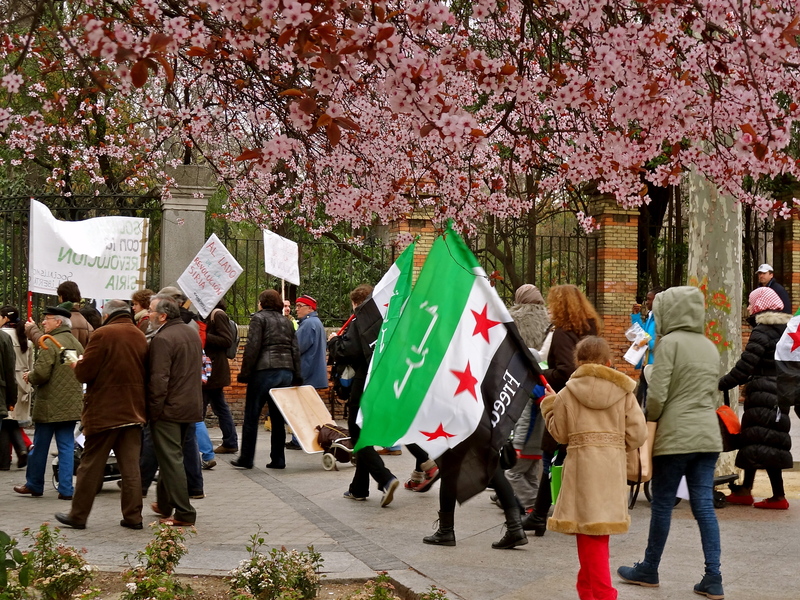 I spotted on the streets, under the cherry blossoms, this march in solidarity for Slovenia. of Madrid, which are wide open spaces, often with lakes and mini forests within them. Unlike most parks I’ve visited, they hardly feel landscaped or curated. 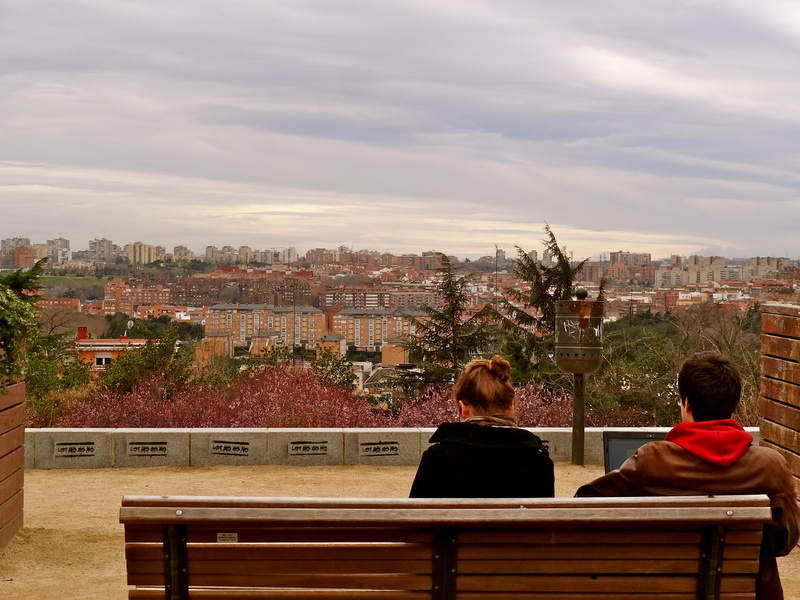 From what I gathered, parks in lesser known neighborhoods, like Parque El Capricho, also seem to be favorite hangouts among the locals of Madrid. though he would probably flip seeing a laptop replace the good old pen and paper! I stumbled upon this gorgeous view at Dalieda de San Francisco, while having lost my way in the city. because it’s just so gorgeous, you can’t get enough of it. Madrid might not have a beach, but what better place to read, or contemplate life than this “By the river Piedra I sat down and wept” sort of setting? 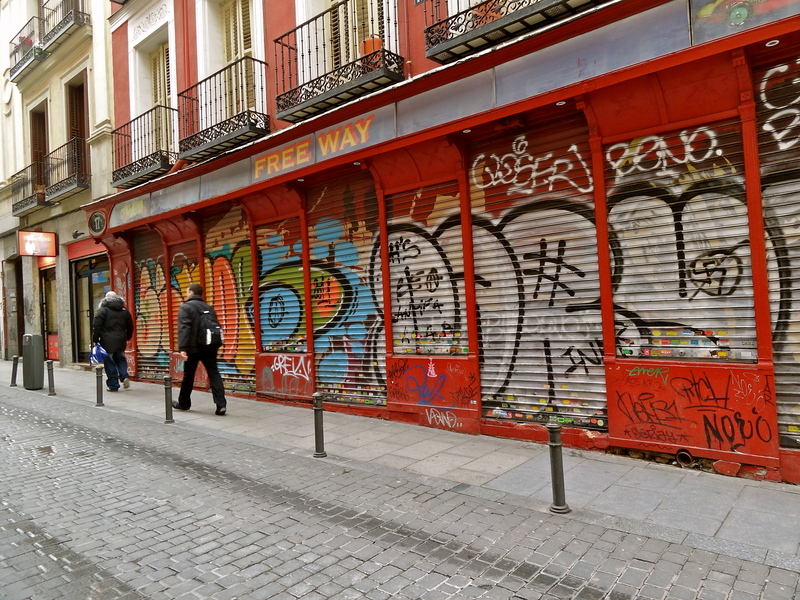 like Malasaña, off the Tribunal Metro, which is an alternative neighborhood with funky graffiti and quirky stores, and seemingly the hangout of choice among the city’s hipsters. that you wouldn’t expect to spot in big cities! What are (were) your impressions of Madrid? My trip to Madrid was in partnership with the Tourism Office of Spain. Opinions, as always, are my own. Other travel stories from my travel adventures in Spain. 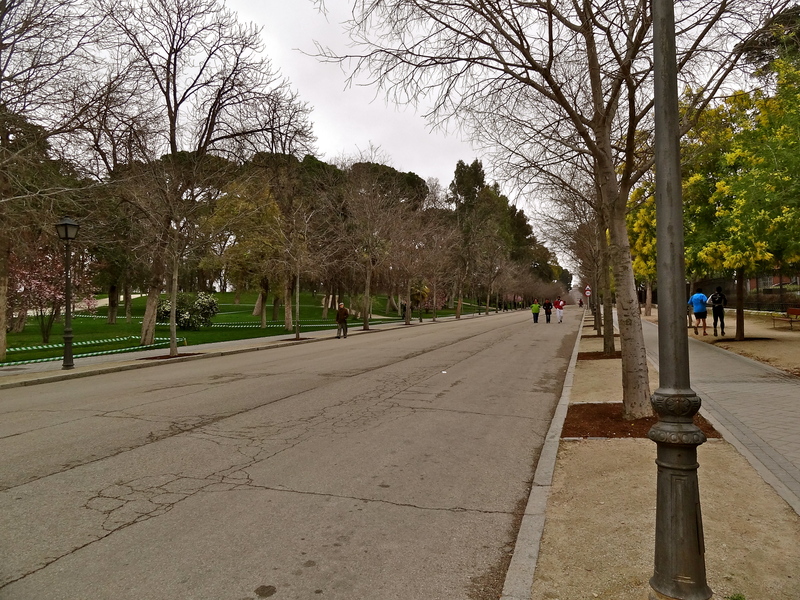 Madrid seems so serene… unlike other cities. Thanks Seema, glad you liked it! I simply have to visit Spain now 😛 Lovely lovely pics ! What I like about you Shivya is that you have an entirely new perspective towards travel and the places you see ! I’m glad we both did! Pray, what’s the wrong part of town?! We stayed in an Airbnb apartment in La Latina, which was great, but the street we were in was quite a long way from the metro station and the further we walked from the Metro the rougher the neighborhood became. After five days we had made friends with the local fruiterer and baker and started to feel at home in the street. Love this… am working on a series of ultimate guide posts on Madrid at the moment. Madrid is easily one of my favourite places in the world. I’m glad you love it too! 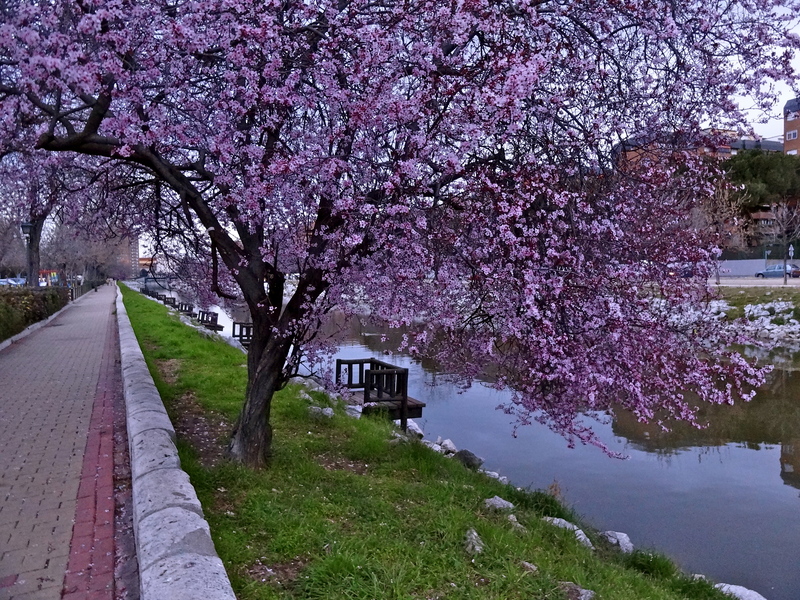 Loved that pic of the cherry tree by the river! book-marked to look at new stuff on your web site. I hope to go to Madrid some day. Previous Post4 Time Zones, 2 Bucket List Items, 1 Month. Next PostPraying At a Mosque: My First Time.